In the Status column, you can see the web log and restart all server-side scripts. 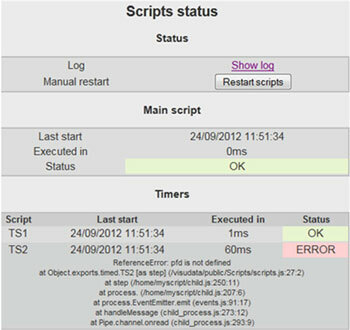 You can use this log from your scripts with the function myscada.logFile (“your text”), which will add a time stamp to your text. This function is embedded in NODE.JS, so you can call it without requiring it.